EDITOR’S NOTE: A previous version of this article overstated SONG's focus on students. As well, it misstated SONG's main policy initiative as ending 287(g); it is actually to end money bail. We regret the errors. Renewed resistance in the South and Appalachia has taken many outside the region by surprise. Far from simply a fringe movement, calls to end ICE’s abuses are gaining momentum, even within such perceived conservative strongholds. This sea change is driven in large part by community organizers like Southerners on New Ground (SONG), an Atlanta-based, regional organization defending the rights of LGBTQ+ people of color in the rural South. To SONG and its sister groups across the South, silence is complicity. Letting ICE picnic in peace is not an option, so long as so many others are forced to live in fear. SONG is a progressive organization that unites kindred spirits across the South. Stretching from Asheville to Atlanta, it is one of the South’s largest LGBTQ+-led organizations, and prides itself on being both bilingual and multigenerational. From the #Not1More campaign in Georgia several years ago to their “electoral experiments,” SONG sees itself as part of a much larger Southern legacy. And though LGBTQ+ history is suppressed across much of the South by “Don’t Say Gay” and similar such laws, southerners in SONG’s ranks lift up the legacy of those who came before them and refuse to remain invisible. Everyone deserves to feel that they belong in their own hometown. With this in mind, its affiliated STAY Project, run out of the Highlander Center, aims to convince LGBTQ+ youth to remain in the red states of their birth, and to stand and fight rather than leaving the region as so many have before them. By providing a playbook for young organizers, SONG encourages southerners not simply to stay involved, but to see themselves as leaders in the fight for a more free South. From its DigiCommz working group, a network of local activists that makes up their regional communications team, to its numerous activist retreats across the mountain South, SONG sees students as a source of inspiration, not simply interlopers. This story was produced for Student Nation, a section devoted to highlighting campus activism and student movements from students in their own words. For more Student Nation, check out our archive. Are you a student with a campus activism story? Send questions and pitches to Samantha Schuyler at samantha@thenation.com. Student Nation is made possible through generous funding from The Puffin Foundation. For SONG’s younger members, ICE has existed for most of their lives, but that doesn’t mean it is accepted. SONG has been in the fight against ICE since the inception of the agency itself in 2003. For years now, trans activists have raised the alarm over how LGBTQ+ detainees are treated in ICE custody—an issue that persists today. For SONG, as for its sister organizations and other immigrant-rights groups, the recent death of transgender detainee Roxsana Hernández was a rallying cry. After years of broken promises of reform, LGBTQ+ detainees are still up to 97 times more likely than other detainees to be sexually assaulted in ICE custody. And, following several other prominent cases of LGBTQ+ detainees’ being abused or even dying in detention in recent months, the costs of apathy have never been more apparent. Like other LGBTQ+ organizations in recent months, SONG’s organizers on the ground support the release of all transgender asylum seekers from ICE custody. In addition to ending unjust detention policies, SONG has partnered with groups like the #Not1More campaign and Mijente, organizations that, among other policies, are fighting to end 287(g). A partnership program between ICE and local police forces, 287(g) concurrently militarizes local police forces and makes undocumented residents much more vulnerable to detention and deportation. Similar to the theory behind sanctuary cities, ending 287(g) would both slow arrests and serve as a thorn in the side of the police state, moderating future militarization. Concentrated in the South and Southwest, 287(g) programs also commonly coincide with state governments hostile to sanctuary cities, and thus the fight against ICE often overlaps with the struggle against police militarization more broadly. 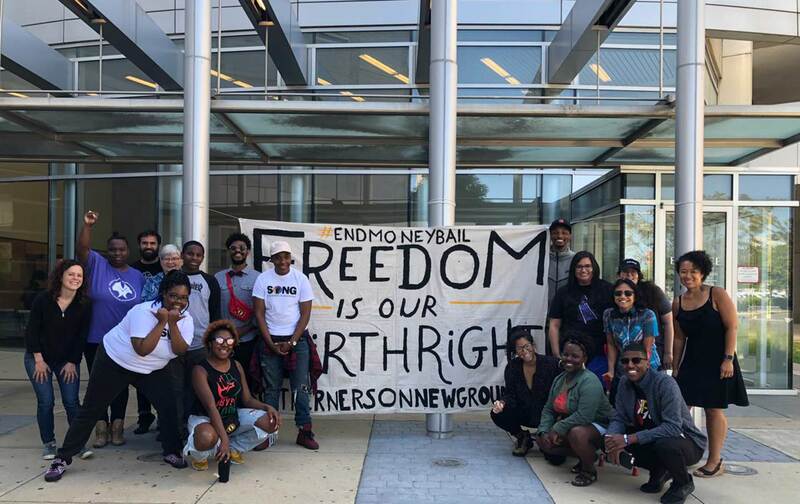 “Especially going through the criminal-injustice system, we are forced to navigate institutions that perpetuate anti-blackness, xenophobia, classism, and transphobic barriers to keep us in the dragnet of criminalization,” Ramirez said. “However, when communities show up for each other, to provide transportation, childcare, interpretation, raising funds, and emotional support, it is all of us who share the burden.” Beyond even institutional change, standing in solidarity with the most marginalized is SONG’s central mission. Building on the legacy of Bayard Rustin, Angela Davis, and other activists who have historically seen the LGBTQ+-rights movement as inseparable from the broader struggle for civil rights, SONG shows that LGBTQ+ organizations are strengthened by focusing on the most marginalized within their ranks, especially trans women of color. And, perhaps most profoundly, SONG refuses to forget the past, even as so much of the South still attempts to erase LGBTQ+ lives and history. Inspired by past struggles, students simply seek to be the “angelic troublemakers” that Bayard Rustin and other activists hoped the next generation of LGBTQ+ Southerners would be. Even in corners of the country commonly considered to be conservative monoliths, SONG refuses to be silent. Robin HappelRobin Happel is a student at Fordham University and an editor for the Fordham Paper. She is originally from Jonesborough, Tennessee, and is a member of several Appalachian writing and activist groups, including Southerners on New Ground.